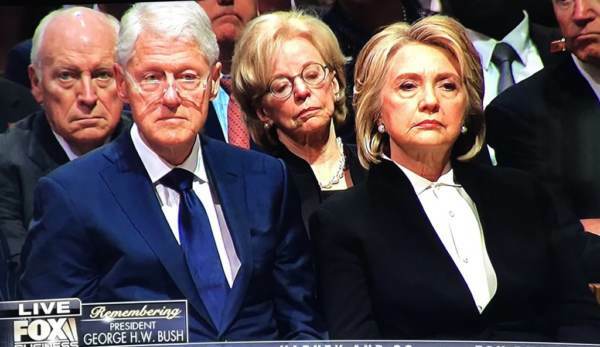 It was a rough morning for Hillary Clinton. She looked spitting mad as President Trump and Melania entered George Bush Sr.’s funeral at the National Cathedral. Then she snubbed First Lady Melania Trump when she greeted her. 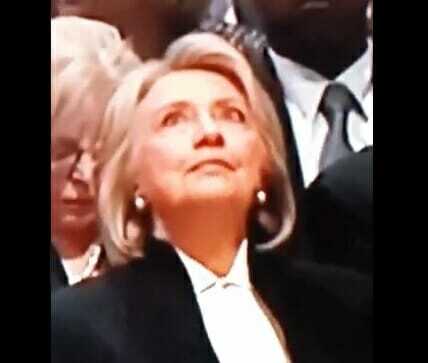 Hillary’s eyes started rolling around her head. Rough day — Huh, Hill? Gateway Pundit Poll: Does Trump have your vote in 2020?